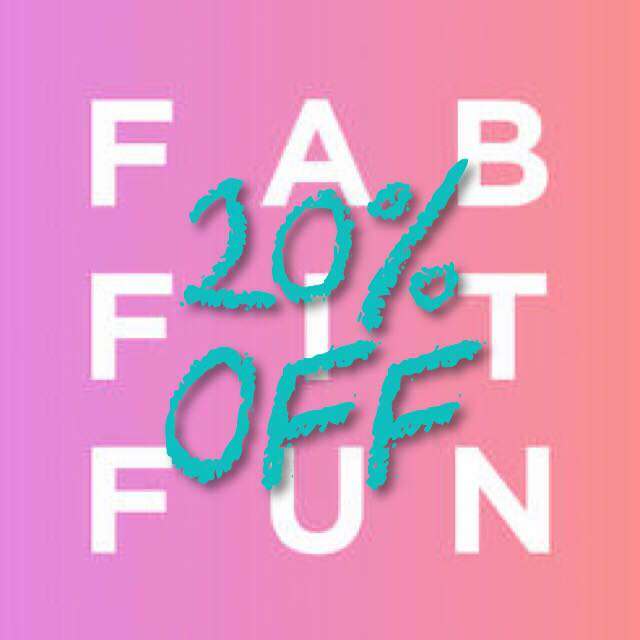 • ZP717 - Cosmo: Silver Crystal Sparkle, Textured PixieDust with Mega Hex Iridescent Particles, Full Coverage Formula. • ZP718 - Vega: Blue Opal Sparkle, Textured PixieDust with Mega Hex Iridescent Particles, Full Coverage Formula. • ZP719 - Lux: Rose Quartz Sparkle Textured PixieDust with Mega Hex Iridescent Particles, Full Coverage Formula. 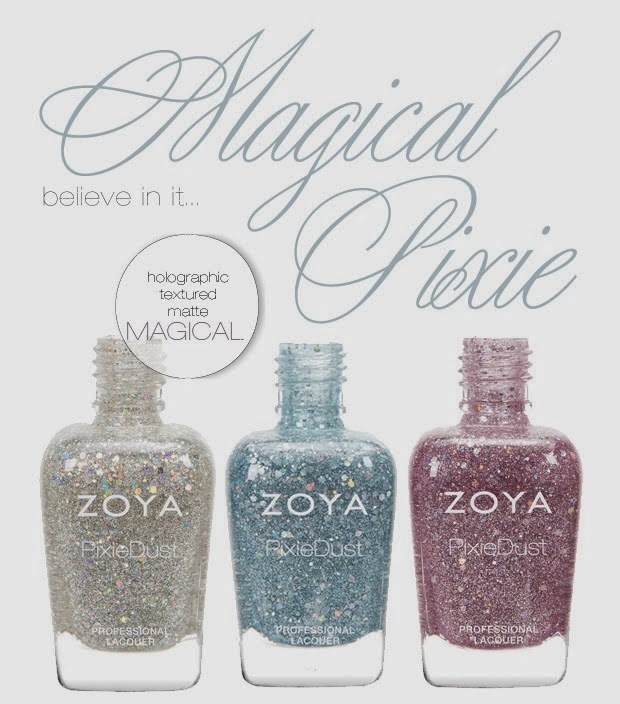 For BEST RESULTS when applying Zoya PixieDust: apply 2-3 thin coats of polish for full coverage to a clean oil free nail surface. Allow product to dry completely for full effect. Do not use a base coat or top coat. Top coat can be applied for additional glossy effects. 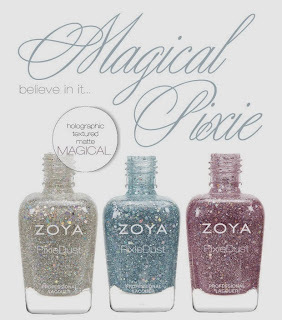 These new Magical Pixie polishes are unbelievable! So beautiful and the name is perfect for them. Isn't it! They are quite magical!